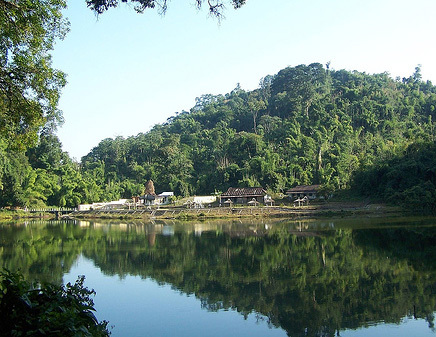 The lake is situated in the foot hills of the Himalayan is a unique part of the capital Itanagar. The lake locally known Gekar Sinyi but another name is Ganga Lake abounds in natural beauty with an unpolluted healthy environment. The lake is surrounded by landmass and hard rock with slopes varying 10° to 60°. These hill slopes support a dense semi-evergreen type of forest consisting many interesting plant species, which are academically and economically important. This entry was posted in Arunachal Pradesh, Gekar Sinyi. Bookmark the permalink.